I’ve been a fan of arcade shooters ever since my days of Galaga, however as you might imagine, 30 plus years and thousands of games later, it’s becoming more and more difficult for developers to find ways to reinvent the genre. This is precisely where Graceful Explosion Machine excels, giving players everything they’ve ever dreamed of in a fun and colorful 2D arcade shoot-’em-up. 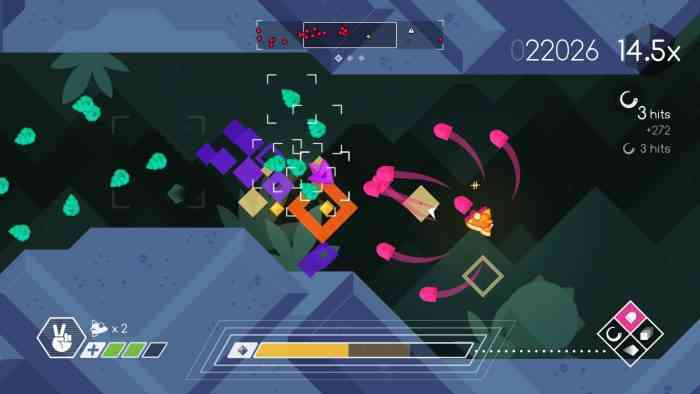 Although the levels do become quite repetitive, offering small and confined spaces time and time again, it’s very easy to forget this with all of the intense fun Graceful Explosion Machine brings your way. In this single player shmup, you will control the very spaceship for which the game is named, as you take on swarms of enemies ranging in geometric design. The premise is simple; defeat the waves of enemies in order to move to the next level, and of course, stay alive. These enemies vary in combat abilities and characteristics, becoming more difficult as the levels progress. The levels are uniquely designed to test your abilities, and although they all take place in small caves, no two are exactly the same. As you progress through the game, you will find more additions that will inhibit your ‘graceful’ movement, including laser beams. Your ship, the Graceful Explosion Machine, comes equipped with four different attacks, dash and directional abilities and a limited supply of energy. Your basic attack comes in the form of a blaster that uses no energy but can overheat. It is good in quick fights or against longer range enemies. Then you have an energy sword, that kills enemies in a 360-degree angle around you and gets rid of incoming bullets. These two attacks are deadly against the onslaughts of enemies and although the energy sword does use energy, most often the amount of enemies killed will replenish what you lose. You have two powerful attacks, which use a lot of energy as a result. These are your laser beam, that can be used for quick demolition of some larger enemies, and a bunch of missiles that are good for warding off a group of incoming adversaries. While I found myself wishing for weapon upgrades in the beginning, I quickly realized there is a lot of fun to be found in the simplicity of the shoot-’em-up style, without getting bogged down with additional mechanical functions. If you end up getting stuck, run out of energy or need to move from one side of the screen to the other quickly, you will be very thankful to have a dash ability that can be used twice in a row before needing a quick cool down. Throughout your time with Graceful Explosion Machine, you will also be glad to have the ability to change the direction of your ship, because these small movements can make all the difference sometimes. The only thing to be mindful of when using this ability, however, is to watch for your opponents barrage of bullets. This dash allows you to ghost through your enemies but leaves you vulnerable to these bullets. 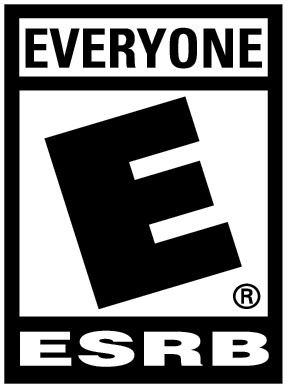 And believe me, it is not that easy to see these amongst the chaotic and intense gameplay. Often, the difference between success and failure is simply how versatile you can be with your weapons and how skillful you are at dodging these foes. Within each level, you have three lives, each with three ‘hit points’ which thankfully, can be replenished from green health that drop from random enemies. Be careful with these, however, as they float away from you amidst the chaos and have to be picked up within a certain amount of time before they disappear forever. At the end of each level, if you make it through that is, you are given a score based on how many times you died and how quickly you completed the level. Zero deaths and the highest multiplier of 30 will likely reward players with an A grade for example. 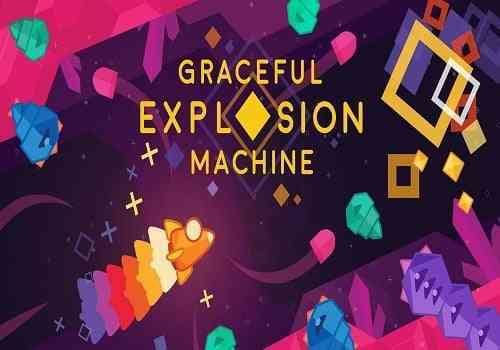 One thing you should prepare yourself is that as fun as Graceful Explosion Machine can be, it can be as equally frustrating! I cannot even tell you how many times I died during the hours I played for, in stupid little ways. Unlike other shmups, there is absolutely no ‘invulnerable’ time after you are hit, because in the very next second, as you turn your back to go and dash you can be damaged again. These times are quite often the most frustrating because you will go from having full health to struggling to keep yourself alive. While each of the levels is similar, each of the 4 worlds feature different color backgrounds, and the more levels you complete, the harder it becomes. By the third or fourth world, there are way more enemies to defeat, which seem to be unleashed into the game at the same time. They come from all different directions, begin to lunge at you, and pop up in more spots within the space, making dashing a bit more futile. But throughout the difficulty and frustration, there are graphics that pop with color, and an entrancing techno soundtrack that just keeps pulling you into the frenzy. There is something completely addictive about Graceful Explosion Machine because even when my hands cramped and I couldn’t seem to get past the waves of little geometric adversaries, I remained determined to beat the levels. In a time where some of the best and worst titles sell for 50 or 60 dollars, this is some of the most fun I’ve had in a while and all for a minimal hit to your wallet. Vertex Pop puts their best foot forward here, absolutely nailing what makes the shoot-’em-up genre so great. 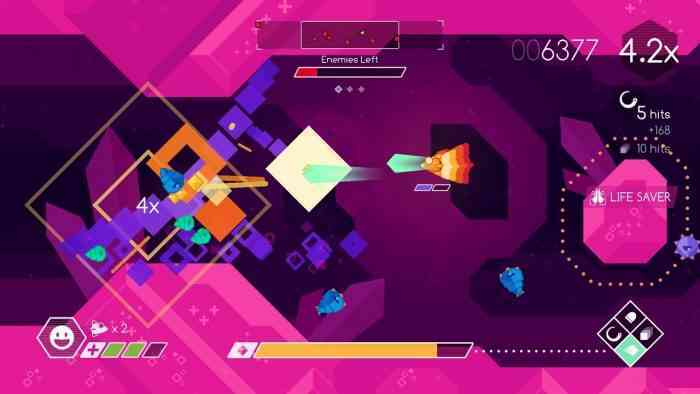 With the fantastic techno soundtrack and the intense gameplay, you’ll forget just how similar the maps are as you get lost in the world of Graceful Explosion Machine.